My case study focuses on an NGO – called Isis Women’s International Cross-Cultural Exchange (Isis-WICCE) – that mediates and helps to organise women’s peace activism in Northern Uganda. Based on extensive and in-depth interviews with a wide range of activists in the organisation and in its network in post-conflict areas of the country, I argue that Isis-WICCE pursues peace and justice along two axes: ‘redistribution’ and ‘recognition’. Redistribution refers to addressing the material factors that precipitate and perpetuate social suffering by making the control and spread of resources more equitable. Recognition refers to elevating and valorising the social and cultural status of women to one of mutual respect and reciprocity, particularly with men, within their communities. Both of these frames relate to addressing and redressing the injustices inflicted on the female body during conflict and violence, and they provide an impetus to challenge the structures that produce violence and to reaffirm women’s personhood and moral agency. Isis-WICCE was founded in 1974 in Geneva before relocating to Uganda in 1993, thereby becoming the first women’s peace-building NGO in the region. At first, the organisation set out to challenge the conventional war narratives that ‘lionise men as heroes and ignore the agency and experiences of women.’ It recognised that narratives of war are often gendered and treat women as an undifferentiated category despite their vastly diverse experiences of war as soldiers, rebels, civilians, patrons, abductees and so forth. Isis-WICCE thus endeavoured to use women’s testimonies as lobbying and advocacy tools to make specific practical demands for women’s needs – based on their particular experiences of war – from governments and international development agencies. Ruth Ojiambo Ochieng, the director of Isis-WICCE at the time of writing, told me a story about how, during her tenure as director, she set about expanding the organisation’s founding mandate of ‘documentation and advocacy.’ When she first joined the organisation in 1994 as a programme officer, she met a young woman called Devota Mbabazi, an ex-combatant living in a remote area in the Luwero district of central Uganda. Mbabazi had been ‘raped by 21 soldiers, and developed several sexual and reproductive health complications including fistula and HIV and AIDS.’ Moreover, the uneducated Mbabazi was unable to integrate into the formal army after the Liberation War (Uganda-Tanzania War, 1978–79) and was thus unable to access social services or receive a state salary. Horrified and indignant at this story, Ochieng believed that it was unacceptable to document Mbabazi’s story for the purposes of advocacy without doing anything practical to attend to her immediate material welfare. Thus, in 1998 Ochieng started an emergency medical intervention program, as part of Isis-WICCE’s work, for ‘women war survivors’ in the Luwero district. Isis-WICCE’s exposure to the material needs of women’s bodies in war zones challenged many of the organisation’s founding precepts of what it means to conduct a ‘feminist intervention’ – hitherto encompassing documentation, advocacy and ‘cross-cultural exchange’ – during and after armed conflict. At one of the first cross-cultural exchanges that Isis-WICCE hosted for its Ugandan clients, a survivor of violence questioned the theories of peace and conflict resolution being proffered. She simply asked, ‘Am I going to eat peace?’ thus highlighting the abstractedness and ineffectuality of a peace discourse that does not address the material reality of abject poverty. This led to a debate within the organisation about the politics of redistribution, the politics of recognition and how to marry the two. This conversation reflects a long-standing, and much-discussed, fissure in development theory and praxis between practitioners concerned with the practicalities of development and normative theorists focused on the more abstract notions of ‘liberation for the subaltern subject.’ In response to the intellectual and pragmatic challenges presented by this debate, Isis-WICCE began to reconceptualise its approach to women’s peace activism to encompass both the material demands for redistribution and the sociocultural demands for recognition. The feminist peace discourse proffered by Isis-WICCE thus became a manifold metaphor for women’s political activism, peace-building and reconciliation, economic empowerment, and community development. Rhetorically, the organisation framed its approach as one ‘that will address the body, mind and spirit that has been shattered. It is about building humanity and bringing back the dignity to those who have lost it.’ In practical terms, this expanded discourse was constituted through different domains of action that addressed the physical, social and political needs of women after war. The body is a central idiom that Isis-WICCE deploys in drawing attention to the unjust afflictions of conflict and violence on women and in contesting the androcentric nature of post-conflict reconstruction led by the state and international organisations. For Isis-WICCE activists, the ‘mainstream’ post-conflict reconstruction agenda in Africa – littered with recommendations such as ‘improve the rule of law,” ‘hold free and fair elections,’ ‘combat corruption,’ and ‘hold perpetrators of violence responsible for their actions’ – is elitist and blind to the subjective realities and voices of women. By highlighting how women’s bodies are violated during war, how women’s bodies provide labour for household survival and how women’s bodies have distinct needs in all facets of post-conflict development, Isis-WICCE asserts that the embodied experience of women in war is integral to the creation of protective social institutions following conflict. This is the way in which the organisation attempts to unite the politics of redistribution with the politics of recognition and the sense in which the organisation views itself as feminist. 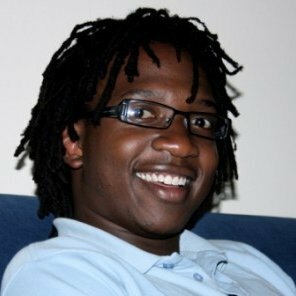 Simukai Chigudu is a DPhil candidate in International Development at the University of Oxford, where he holds a Hoffman-Weidenfeld scholarship.